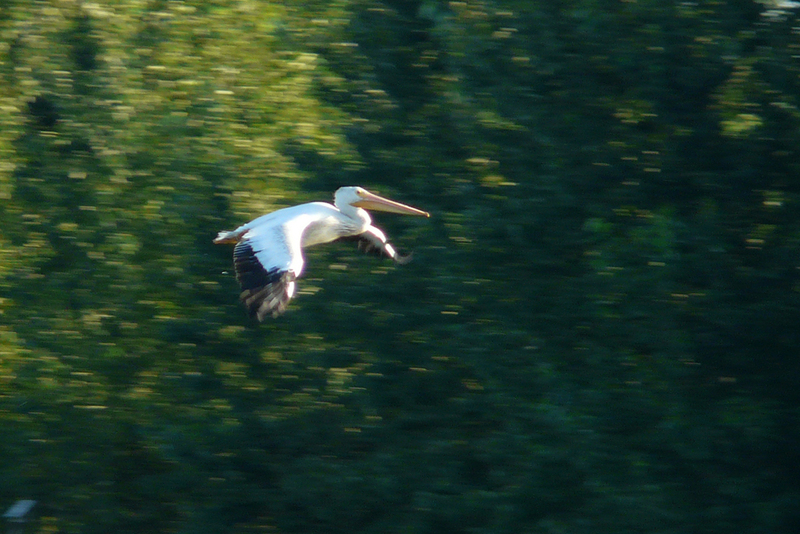 In late summer, American White Pelicans become increasingly common in the Willamette Valley. These are post-breeding or non-breeding birds that have left their nesting areas in eastern Oregon and other sites throughout the interior West. 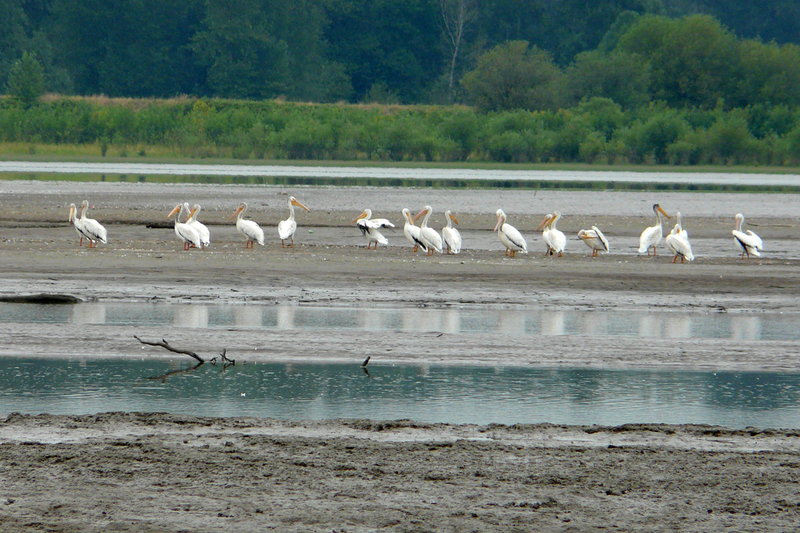 Sturgeon Lake, on Sauvie Island (Birding Oregon p. 55), is a popular lounging area for these birds. This small flock at Fernhill Wetlands (Birding Oregon p. 61) has surrounded a school of fish and herded it toward the shoreline. Unlike the Brown Pelicans at the coast, American White Pelicans do not dive. These larger birds swim along and dip their bills in the water to capture fish. This entry was posted in species profile and tagged American White Pelican. Bookmark the permalink. 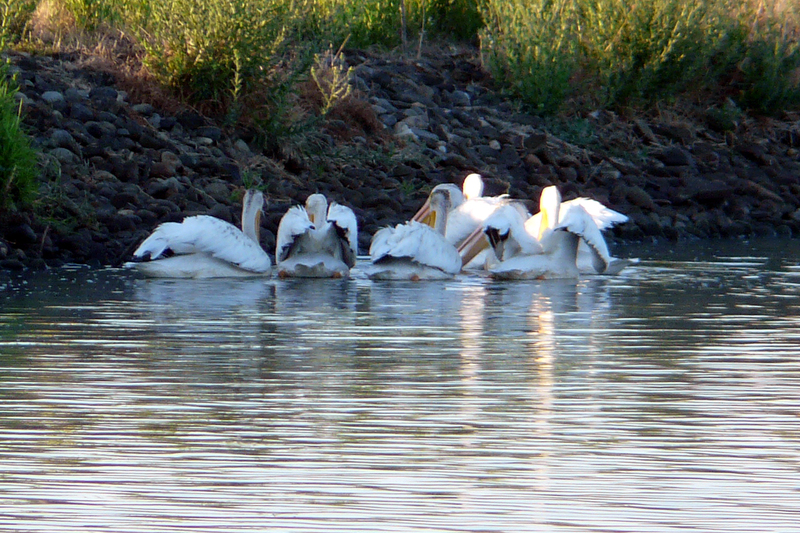 When we start seeing white pelicans on the Upper Texas Coast, we know the hot weather is almost done. The first ones show up in August.